Throughout this blog post we will show you how to easiest and simplest way to install and configure the Parallels Remote Application Server in preparation to actually deliver applications to the users’ device. 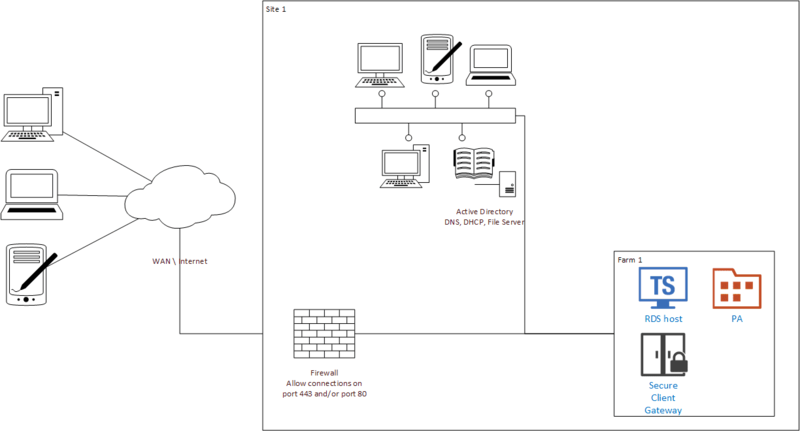 As you can see from the above diagram, the device is connected to the internet via WAN which then passes through the firewall and connects to the Parallels Remote Application Server. On the other hand, as you can see in the Site 1 container, the devices and the active directory are connected to the LAN inside the site. The LAN connection is also connected to Parallels Remote Application Server. 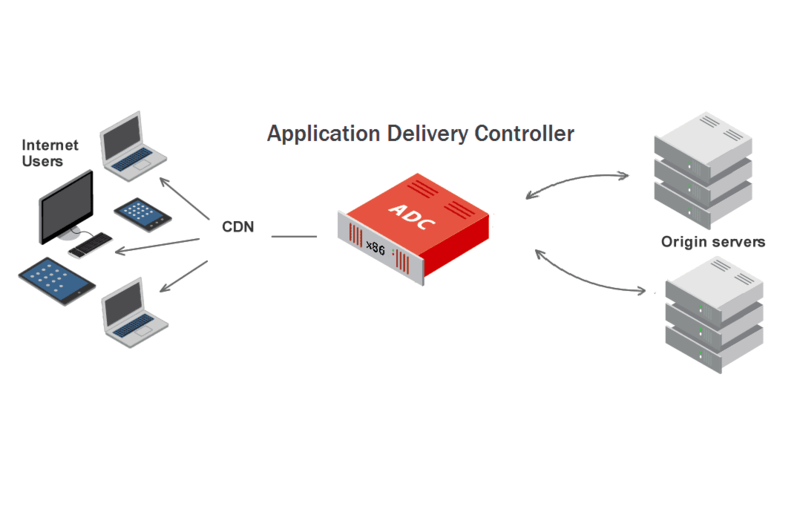 Once the device is successfully connected to the Parallels Remote Application Server, the Published Applications can be delivered to the connected device. The client connection flow consists of two stages: application enumeration and application launching. The points illustrated below describe each stage in detail. Please note that the steps described below equally apply to all other types of published resources (not just applications), including remote desktops, documents, Web applications, and network folders. A user launches the Parallels Client on their device and double-clicks a RAS connection (provided that it has been configured). The Parallels Client connects to the RAS Secure Client Gateway or the HALB appliance, if there is one installed. If HALB is installed, the HALB appliance forwards the Parallels Client to the Secure Client Gateway according to load balancing rules. If HALB is not engaged with SSL offload (HALB is not installed or the pass-through mode is in place), an SSL session between the client and RAS Secure Client Gateway is established. RAS Secure Client Gateway builds a connection tunnel with a Publishing Agent to initiate client authentication. If the user authentication is successful, the Publishing Agent returns the application list to the Parallels Client via the Secure Client Gateway SSL tunnel. The application list is displayed in the Parallels Client window on the user’s device, so the user can select an application to launch. The user launches an application. The Parallels Client sends the request via the Secure Client Gateway tunnel to the Publishing Agent. The Publishing Agent selects the least loaded RDS server and then sends its IP address back to the Parallels Client via Secure Client Gateway. Depending on the connection mode selected on the client side (see Client Connection Modes below), the Parallels Client connects to the RDS server directly or via RAS Secure Client Gateway and passes the user credentials to it. The RDS server verifies the received credentials and, if they are valid, starts an RDP session. Once all 5 phases have been accomplished, one can start publishing and delivering applications to clients to any device using the Parallels Remote Application Server! The preceding lists the bare minimum amount of servers required for you to operate Parallels Remote Application Server and deliver applications to users. Server 1 will be used during this document to install Parallels Remote Application Server, since the server needs to be either Windows Server 2008/R2 or Windows 2012/R2. Server 2 and even Server 1 will be used in this document for remote desktop services. All the applications that you would like to deliver to your users need to be installed on these servers. There are 2 servers listed with the same role as backup. If one of the server fails, the users may still access the applications via the second server. Also, in the event of Server 1 failing, Server 2 will take over the roles of the Parallels Remote Application Server. The Parallels Remote Application Server also offers Load Balancing to balance the load between the 2 servers. Moreover, RAS components will also be pushed to Server 2 for high availability. Server 3 is the Parallels HALB (High Availability Load Balancing), which is a secure virtual appliance provided by Parallels for Hyper-V, VMware and XenServer. The HALB virtual appliance is placed between client devices and RAS Secure Client Gateway. Multiple HALB appliances can run simultaneously, one acting as the master and the others as slaves. The more HALB appliances a Parallels RAS installation has, the lower the chance of end users experiencing downtime. Master and slave appliances share a common or virtual IP address (also called VIP). Should the master HALB appliance fail, a slave is promoted to master and takes its place seamlessly without affecting end user connections. By configuring the above mentioned servers with Parallels Remote Application Server, you will be able to deliver applications to users’ device. This is the simplest and easiest way to set up your environment using the Parallels Remote Application Server.